Like many people on the forum I'd like to have a 2002 Spirit-R RX7, but I live in the US. I thought we could import one as a show / track car, but that's only for up to one year and it truly has to be modified for racing, neither of which work for me. We can't import them until they are 25 years old (9 years of waiting), BUT Canadians can import cars older than 15 years which fits for a 2002 Spirit R. There are importers that cater to US clients that will import from Japan and then store it for you in a climate controlled space. I was quoted a price < $100 USD per month which is what a storage unit here costs. My thinking is to get a lower km Spirit R now and sit on it 9 years then import it. Here come the flames on low mileage cars not driven enough literally disintegrating into a small pile of dust, but I've bought plenty of crazy low mileage cars (FD RX7s, Ferraris) with only very minor issues and don't mind it myself. Will end up spending about $9k on storage beyond import price, but keep 9 years off the clock. Crazy, brilliant, or in between? That's not going to work. Once it enters Canada the will not be eligible to be imported and registered legally under 25 year rule. It has to stay in Japan until you hit 25 years before you can transport it to the US. You cannot have it enter Canadian port and sit for another 9-10 years. I have looked into this extensively. I mean it may be possible but the hoops you will have to jump through is much more extensive from what I have read. Best bet to do it legally is buy the car in Japan and store it in Japan until 25 yr is up. If you're going to buy it and not drive it for 9 years, why have it sitting in Canada instead of in your possession? It's completely legal to own in the US so long as it is not driven on public roads. 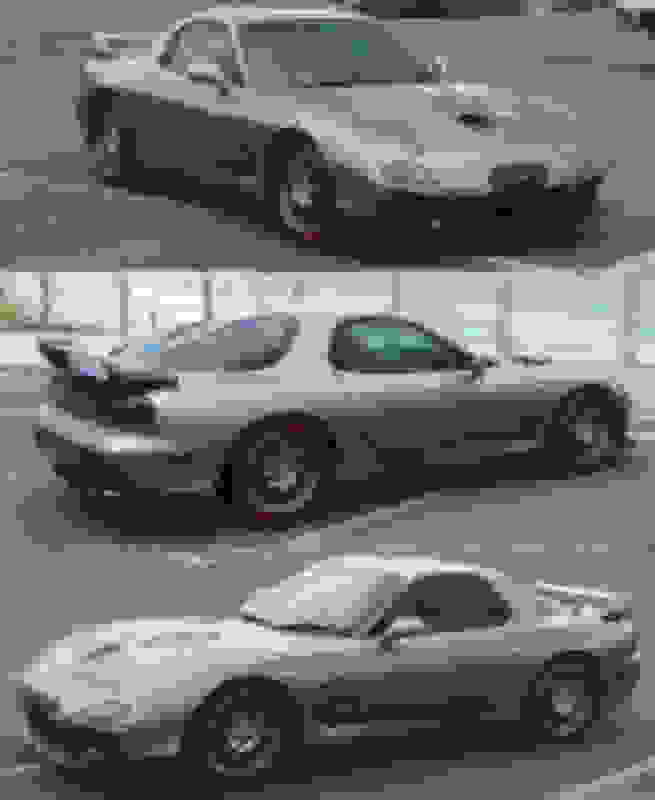 The thought of importing one crossed my mind before I bought my FD, but I ultimately wanted to drive and enjoy it on the street without worry. The process is also inordinately time consuming and expensive. Anyone who tells you otherwise has either never done it themselves or get nervous anytime they see a cop if they have. You can do the same thing storing it in Japan. Why all the ridiculous complicated extra steps? I can't help you with your US regs pertaining to imported Jap Spec cars (I live in Australia), but what I can tell you (I own Spirit R Type A, #549/1500) is that the prices for FD's here is skyrocketing, especially the limited edition types (Bathurst R/RZ/Spirit R) One recently sold at auction here at Shannons (a specialist motor enthusiast/insurance company) for $73K AUD, thats $30K MORE than I paid for mine 10 years ago! good condition, low mileage, unmolested examples are getting exceptionally rare to find and selling for top dollar, I have a mate who's been importing them to Sydney for years now and after importing/complying/re-selling they are going for six figures! I just upped my insurance for mine yesterday, they're become rarer by the day and harder to source! (and NO, mine's NEVER gonna be sold! Last edited by Raffmeister; 11-13-18 at 07:24 PM. The way that would work would be to set up a Canadian corporation, which owned the FD as a fully registered & imported Canadian car. This will get very expensive over time. You won't make any money at the end of the 9 years unless Spirit R prices go through the stratosphere. Display and Show would very likely be unsuccessful because they made one similar enough in the US. I started filling out the paper work and had a nice write up started, but abandoned this one. I have friends in Canada that can buy it, store it, and then resell it to me, so I'm good for the Spirit R. Have a nice blue Type A reasonable km picked out with my importer and it's at a dealer they buy from. Will eventually post pics as this progresses. Sorry but you are totally wrong with your statement. The car cannot enter the US until it is 25 years old, it has nothing to do with registering it or not. Agreed - can't import it whether you register or not until it's 25 years old. Trust me, I've been through EVERYTHING to get an EVO VI here the cheapest way. I think the only way it's possibly is to give my Canadian friend money, he buys it and registers it himself and stores it for me (while I pay insurance, registration, storage for his hassle, etc etc). There are a few Canadian shops that are willing to store it on site for you, but again it's not cheap at all. You CAN do it, if you have the disposable income and willingness to pay. It just cant cross the border until 25 years unless the NHTSA deems it a "Show-and-Display" car and adds it to their current listings. Here is a listing of all of the current cars deemed "acceptable" by our government .. https://www.nhtsa.gov/document/vehic...w-or-display-0. Fair enough. I stand corrected. The last time I personally loaded a car onto a container overseas to have delivered to my door was 2001, so I'm sure things have changed since. I can understand that, I thought the same thing you did, why the hell does it matter if I'm not going to register it? Why can't I just keep it in my garage, rebuild the motor, interior, etc etc that way I have 4 years to work on it. Nope, dreams dashed. Now I have to wait until 2023 or so for my Evo VI. There's got to be a way for you US folks to import "illegal" cars. This guy's been flaunting his Evo V all over Youtube and it's got Florida plates on it. Yes, there's people who do it. I assume they skirt customs bringing the car into the US, I doubt they inspect every single container. FL will register damn near any and everything. Just because it has a title and insurance doesn't mean its not federally illegal. I've seen many R34's on the roads here, R33's, I knew a guy who had two R32's long before the 25 year rule applied to them. It happens. But I and im sure many others don't have 20-30-40-50 thousand dollars to throw away if it ends up being crushed. 1. Acquire clean title, roller or non running, not wrecked 93-95 US spec FD. 2. Acquire and import low km's 2002 Spirit-R as show/track car. 3. Swap all the Spirit R parts onto US spec chassis, register it. 4. Sell Spirit R chassis to racer or collector. There is no profit in that option. That is for sure a loss. Because it’s contraband. As such it’s illegal to possess, not just illegal to drive. What you have here is just a Spirit R replica, remember the originals were RHD JDM spec vehicles only. Some parts (like interior panels) won't fit a LHD USDM FD. What you're describing is pretty much that LHD USDM Spirit R replica that sits in Mazda USA's basement in California, simply a LHD Spirit R replica, nothing more. Unrelated, but pretty sure I've seen your car at Bondi Westfield previously. There's also a black Spirit R with a v-mount floating around too. there are a few ways to end up here, most of them dubious. 1. there are a few states, like Florida that will just register anything, so you can have Florida title, Florida plates, etc. still Federally illegal, Feds can show up whenever they like and seize the car, and they do. 2. as listed above, import the car you want, buy the US spec equivalent swap all the JDM goodies on to the US shell. this way is legal, there is a grey area with emissions, but in an FD you could easily run the legal parts (ecu and precat). in CA the Sr20 guys got pretty screwed, the police basically just pulled every S13/S14 owner over and gave them a ticket to go see the emissions referee. since the Sr20-DET was never imported here, it cannot be made legal. I used to live and date women on the North Shore (Chatswood, Turramurra, Wahroonga area) so I used to park a lot at Hornsby, Chatwood Westfield, Chatswood Chase, and St Ives shopping areas, never parked her at Bondi Westfield though. Florida also doesn't have emissions testing - hell, I remember in the 90's when they REPEALED emissions testing, they only had it in certain counties. I've also heard stories of people buying wrecked shells just to get the VIN and transferring the VIN onto a JDM car. Illegal, but it's also a case where you wonder how much of a car has to be attached to the VIN for it to be still that VIN chassis.